Warner Bros and 5th Cell has revealed Scribblenauts Unlimited for Wii U and N3DS. 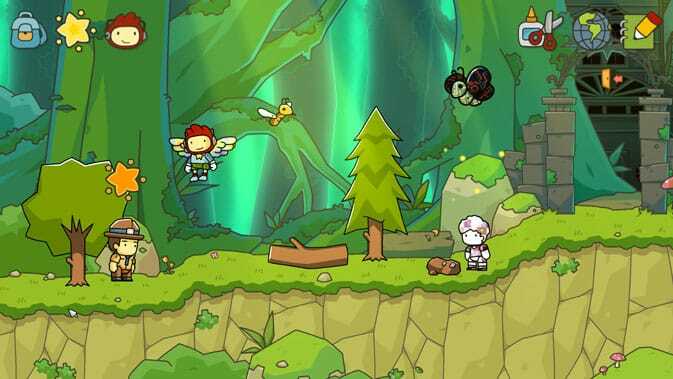 Unlimited will allow players to create items to put into the Scribblenauts world, which now appears much bigger than previous games. A demonstration of the game saw players create a dog with wheels titled ‘Robodog’. This content can also be shared with friends. 5th Cell is also promising an expanded single-player campaign that will explore how the game’s star Maxwell came to find his magical book. Multiplayer was also confirmed as a series’ first. The 3DS version promises 41 levels packed with 50+ starites, 500+ starite shards, and over 20+ hours of gameplay. StreetPass features will also appear in the portable version.